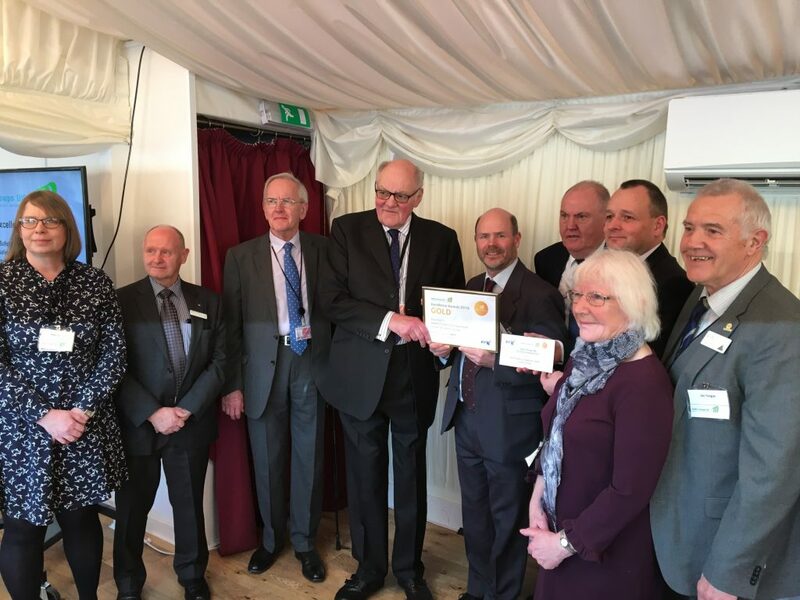 Lord Brougham and Vaux, President of Safety Groups UK and one of the UK’s acclaimed safety peers, presented a Gold award to representatives from SCOHSG at an award luncheon held in the House of Lords terrace room. 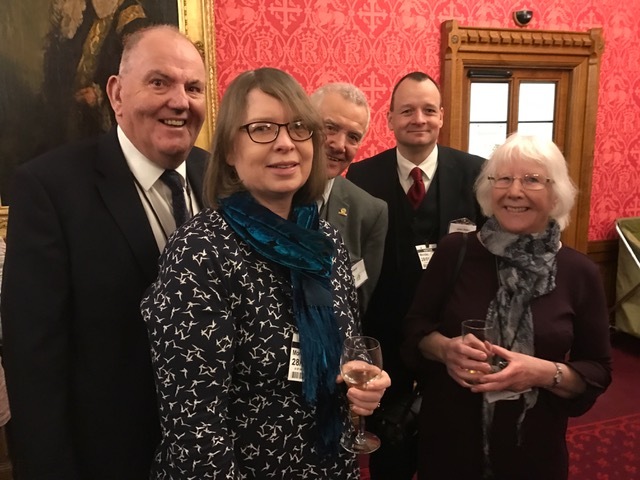 He commended South Cumbria Occupational Health and Safety Group for its commitment to helping member companies develop practical health and safety policies as well as keeping up-to-date with regulatory requirements and promoting a positive workplace health and safety culture. Lord Brougham, centre making the presentation to James Woolgrove. Jim Tongue (all SCOHSG committee representatives). James explained that the awards were organised by Safety Groups UK, and the Royal Society for the Prevention of Accidents (RoSPA) and that they were sponsored by BT and idverde this year. He said that the Health and Safety Executive (HSE) also support this initiative because these awards are a top-level recognition of the important role of safety groups in helping to raise awareness of workplace health and safety risks and developing practical ways of eliminating those risks. 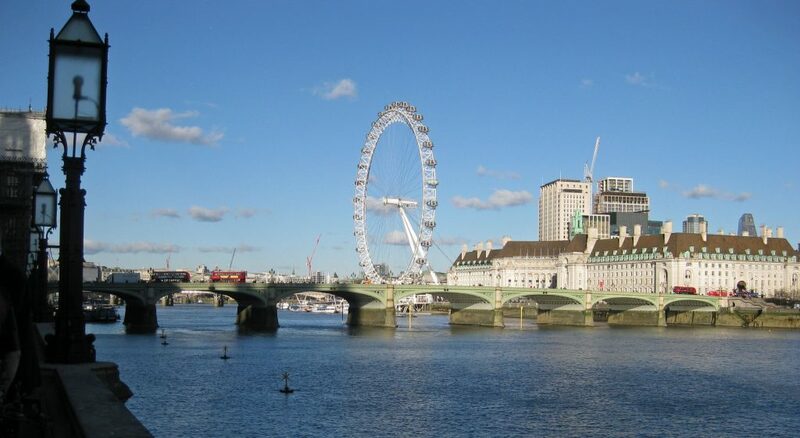 House of Lords prior to the award luncheon in Westminster Terrace room.